October brings the highly-anticipated returns of two fan favorite shows, as well as UK program premieres in the US that are sure to please more than a few viewers. Inspired by Julie Summers’ non-fiction book Jambusters, this World War II period drama was such a hit in the UK that ITV commissioned a second series before the first had even finished its run back in the spring. 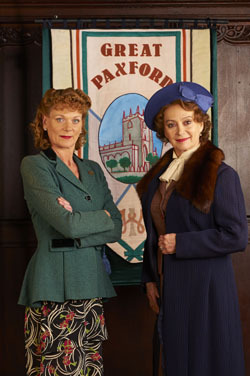 Home Fires stars Samantha Bond (Downton Abbey, The Queen) as Frances Barden and Francesca Annis (Cranford, Wives and Daughters) as Joyce Cameron — courageous, formidable, and take-charge women, and rivals at the Women’s Institute in their rural Cheshire community of Great Paxford. 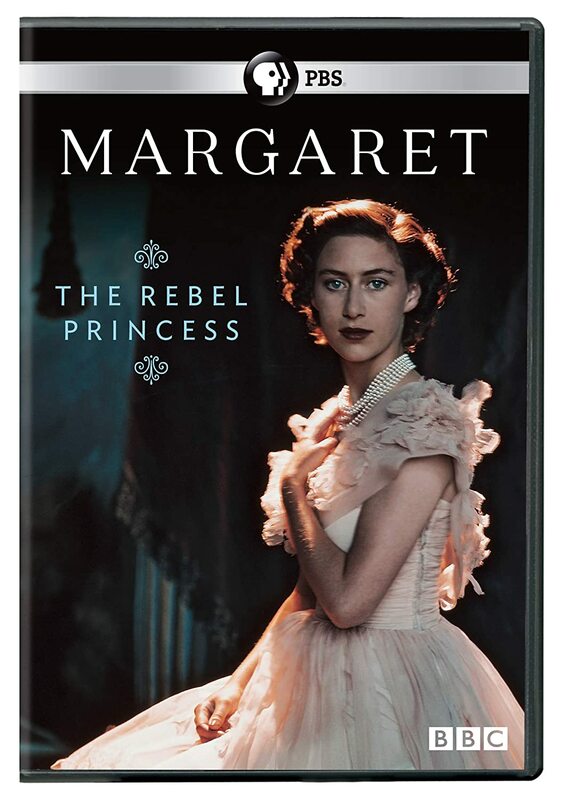 As the villagers anticipate and then experience the effects of the Second World War, personal desires collide with duties to Crown and country. Men of all ages sign up for military service, leaving those women with husbands and sons fearful for their loves ones’ lives, and one woman still in fear of her husband. Others, out of good intentions, desperation, or human frailty, take certain matters into their own hands. Ultimately, all of the women must unite if they are to hold their families and community (and themselves) together. The eight-part Series 1 features an a top-notch cast that includes Ruth Gemmell (Penny Dreadful), Claire Rushbrook (Whitechapel), Frances Grey (The Widower, see below), Claire Price (Rebus), Fenella Woolgar (Case Histories), Clare Calbraith (Vera), Leanne Best (Ripper Street), Mark Bazeley (The Bourne Ultimatum), Mark Bonnar (Shetland), Ed Stoppard (Upstairs Downstairs), Daniel Ryan (Mount Pleasant), Chris Coghill (The Driver), and Mike Noble (Grantchester), amongst many others. Based on actual, headline-making events, The Widower made my list of favorite UK TV premieres in 2014. 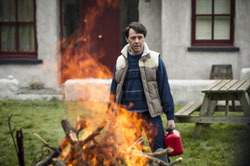 It centers on male nurse Malcolm Webster (Reece Shearsmith, Chasing Shadows), a black widower whose personable, charming facade belies his spendthrift nature and murderous intentions. The three-part miniseries costars Sheridan Smith (Mrs. Biggs) as Webster’s first wife Claire, Kate Fleetwood (Harry Potter and the Deathly Hallows) as his second wife Felicity, Archie Panjabi (The Good Wife) as his third fiancée Simone, and John Hannah (New Street Law) as DS Charlie Henry. The doctor is in. But all is not happy and healthy in Martin’s (Martin Clunes) Portwenn world, at least not in the Series 7 opener of Doc Martin. Wife Louisa (Caroline Catz) and baby James Henry are visiting her mum in Spain, while Martin finally wakes up to the fact that he must change in order to save his marriage. So he promises to see a therapist and work to win Louisa back. Meanwhile, Cornwell’s quirkiest have their own ups and downs, opportunities and challenges, including restaurateur Bert Large (Ian McNeice) and his entrepreneur son Al (Joe Absolom), pharmacy proprietor Mrs. Tishell (Selina Cadell), PC Joe Penhale (John Marquez), Martin’s Aunt Ruth (Dame Eileen Atkins), and surgery receptionist Morwenna Newcross (Jessica Ransom). As noted in this post about the new APT/Acorn Doc Martin behind-the-scenes special, a new character joins the series and an old favorite makes a return appearance. Oh, and then there’s Hollywood star Sigourney Weaver (! ), who guest stars in Series 7. The first two episodes of Doc Martin: Series 7 premiere Monday, 5 October 2015, followed by a new episode every Monday through the season finale on 16 November, at Acorn TV. Halloween is weeks away and child’s play compared to the real-life frights of The Enfield Haunting. Adapted from Guy Lyon Playfair’s book, This House Is Haunted, this miniseries follows rookie paranormal researcher Maurice Grosse (Timothy Spall, Mr. Turner) and experienced investigator Guy Lyon Playfair (Matthew Macfadyen, Ripper Street) as they try to save a family from a poltergeist wreaking havoc on them at their north London home in 1977. And they aren’t the only ones being haunted, either. 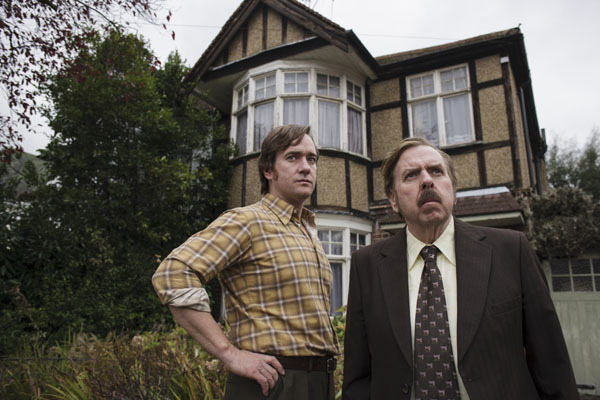 The Enfield Haunting premieres Friday, 9 October 2015, at 10 PM ET on A&E. 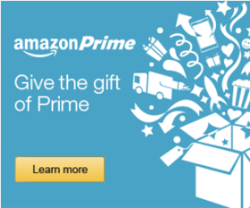 For further details about the program, click here. 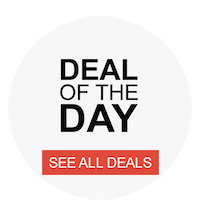 British period dramas seem to be all the rage on American telly, and The Last Kingdom, based on the bestselling “Saxon Tales” books by Bernard Cornwell, looks to be must-watch weekend fare. Combining real historical figures and events with fiction, this eight-part drama retells the story of King Alfred the Great and his desire to unite the many separate Anglo-Saxon kingdoms into what would become England. 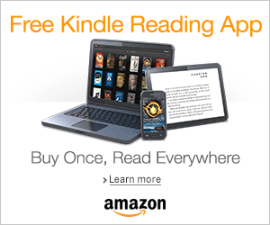 In ninth-century Northumbria, Danish ships are invading and all 11-year-old Uhtred, a Saxon, can do is watch as his father is killed and his people’s army is defeated. 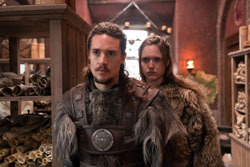 Then things get worse for him: the Danish warlord Earl Ragnar takes Uhtred and holds him and the feisty orphan girl Brida captive, to be raised by the Danes. Years later, Uhtred’s peaceful life is shattered when rival Danes murder his surrogate family and his scheming uncle Aelfric takes his lands. A warrior considered neither Saxon nor Dane, Uhtred finds himself exiled with only Brida by his side, and he swears to avenge Ragnar and reclaim his homeland. But circumstances force him to choose between the country of his birth and the people of his upbringing, as Uhtred fights to reclaim his birthright while playing his part in the birth of a new nation. Leading the international cast from eleven countries is Alexander Dreymon (American Horror Story), who stars as Uhtred. Costars include Emily Cox (Bukow and König) as Brida, David Dawson (Ripper Street) as King Alfred, Rune Temte (The Inspector and the Sea) as Ubba, Matthew Macfadyen (MI-5) as Lord Uhtred, Rutger Hauer (Blade Runner) as Ravn, Ian Hart (The Driver) as Beocca, Tobias Santelmann (The Heavy Water War) as Ragnar the Younger, Peter Gantzler (Bankerot) as Earl Ragnar, Adrian Bower (Mount Pleasant) as Leofric, Joseph Millson (The Sarah Jane Adventures) as Aelfric, and Henning Valin Jakobsen (The Bridge) as Storri. The Last Kingdom premieres Saturday, 10 October 2015, at 10 PM ET, on BBC America. After a wait of a year and a half, the third season of Da Vinci’s Demons is finally arriving. That’s the good news. The bad news: It’s the last-ever season for this historical fantasy drama based in part on the early life of polymath Leonardo da Vinci. 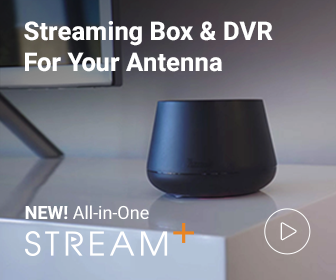 The better news: Starz subscribers will be able to binge-watch all ten episodes of Season 3 on Starz Play and Starz On Demand on the same day its first episode premieres on the premium cable channel. Da Vinci’s life was never smooth sailing, what with his own eccentricities, the Medicis, the Catholic Church, and a certain Turk, amongst others, bumping up against each other. Things get decidedly worse, though, when someone Leonardo trusts steals his weapons designs, and the Turks end up making and using the weapons to invade the city of Otranto. Tom Riley reprises his role as Leonardo da Vinci for the final time, as do Laura Haddock as Lucrezia Donati, Blake Ritson as Girolamo Riario, Elliot Cowan as Lorenzo de’ Medici, Lara Pulver as Clarice Orsini, James Faulkner as Pope Sixtus IV, Gregg Chillin as Zoroaster, Eros Vlahos as Nico Machiavelli, Hera Hilmar as Vanessa Moschella, Alexander Siddig as Al-Rahim “The Turk,” Ray Fearon as Carlo de’ Medici, and Kieran Bew as Alfonso, Duke of Calabria. Joining the cast is Simone Lahbib (Wire in the Blood) as Laura Cereta. Season 3 of Da Vinci’s Demons premieres Saturday, 24 October 2015, at 8 PM ET, on Starz. 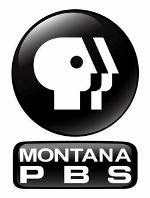 Each of the following programs begins premiering today on a number of public TV stations. Check your local listings or contact the station that serves your area for air dates and times. Another mystery series from Down Under returns to the US when The Doctor Blake Mysteries: Season 2 premieres on various public TV stations this month. Set in 1950s Ballarat, this Aussie noir series stars Craig McLachlan (Packed to the Rafters) as Dr. Lucien Blake, a war hero who returns home after more than three decades away to continue his late father’s medical practice. He also serves as the police surgeon, and ruffles quite a few feathers of the rural city folk while he investigates one murder after the next (and even when he isn’t). “Hipster historian” Dan Jones — author of the bestseller The Plantagenets and host of the intense documentary Britain’s Bloodiest Dynasty: The Plantagenets — explores the turbulent history behind six of Britainʼs most famous castles. Behind the walls of these castles — Dover Castle, the “Key to England” by the White Cliffs of Dover (also covered in the documentary The Wonder of Britain, currently airing on select public TV stations), the Tower of London in England’s capital, Warwick Castle by the River Avon in Warwickshire, Caernarfon Castle in Wales, Stirling Castle in Scotland, and Carrickfergus in County Antrim, Northern Ireland (also featured in Tales of Irish Castles, see below) — are stories of intrigue, drama, romance, rebellion, and murder from 1000 years of British history. The stations below are screening Secrets of Great British Castles. If you would like to watch it but your station isn’t listed, contact them or American Public Television to request it. Ah, Ireland. The birthplace of Guinness Stout, the setting for some great craic in Irish dramas and comedies, and the home to thousands of castles that dot the the Emerald Isle’s landscape from its east coast to its west. 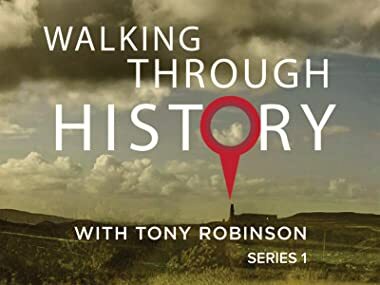 Hosted by Moone Boy‘s own Simon Delaney, Tales of Irish Castles is the fascinating story of Ireland’s history, from the 12th through 20th century, as told through its castles. 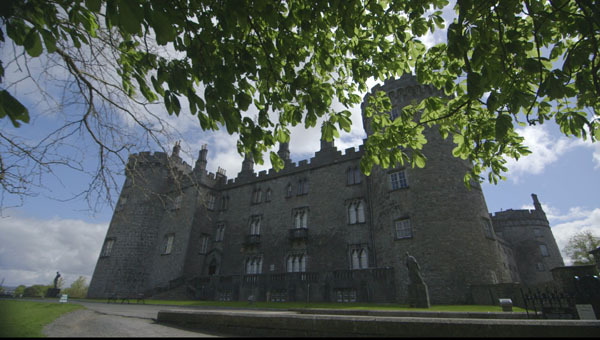 For the complete list of stations airing Tales of Irish Castles, plus detailed information about its episodes, click here. For all streaming services, check back here for updates, as the (S)VoD services often add new titles throughout the month. 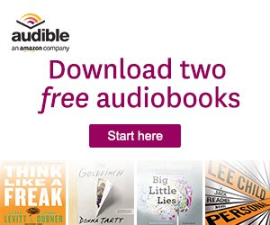 Adapted from the novels and short stories by the late, great Ruth Rendell, this anthology series features tales that explore the psychology of murderers and their victims. 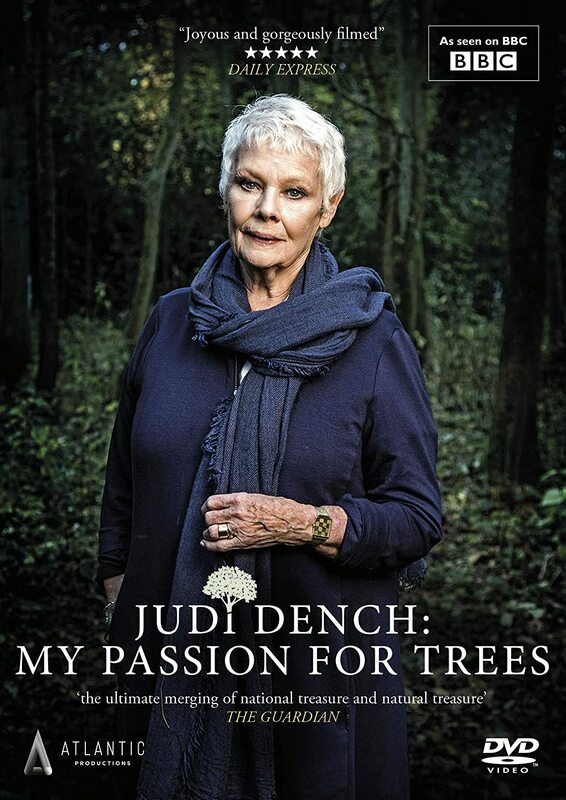 The feature-length, standalone episodes star Colin Firth (The King’s Speech), Eleanor David (Chancer), Amanda Redman (New Tricks), and Camilla Power (The Brief). Ruth Rendell Mysteries begins streaming exclusively at Acorn TV on Monday, 5 October 2015. 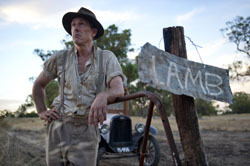 This Aussie miniseries, adapted from the award-winning novel of the same name by Tim Winton, is set in a suburb of Perth between 1943 and 1963, and tells the story of two vastly different rural families — the Lambs and the Pickles — who end up sharing the large, ramshackle Cloudstreet house following their respective personal tragedies. 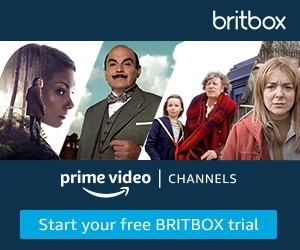 Kerry Fox (The Crimson Field) and Essie Davis (Miss Fisher’s Murder Mysteries) lead the ensemble cast of Cloudstreet, which begins streaming at Acorn TV on Monday, 12 October 2015. 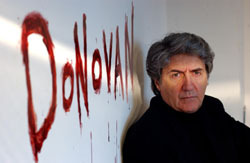 After having a psychological breakdown, the brilliant but troubled criminologist Joe Donovan (Tom Conti, Shirley Valentine) returns to work to lead Manchester’s Forensic Investigations Unit. 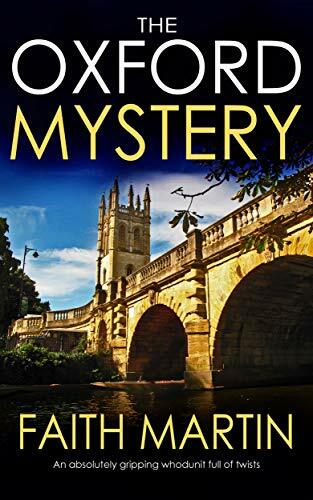 When his first murder case suspiciously resembles the one that drove him to near madness years ago — in which his name is written in blood at the scene of a murder — he must use science to snare a killer… and to save himself. Costarring Samantha Bond (Home Fires) as Joe’s wife Kate and Ryan Cartwright (Alphas) as their son Seth, DNA begins streaming exclusively at Acorn TV on Monday, 19 October 2015. In this insightful documentary series, historian, television and radio presenter, and author Amanda Vickery (Behind Closed Doors: At Home in Georgian England) details the saga of British women’s battle for equality. 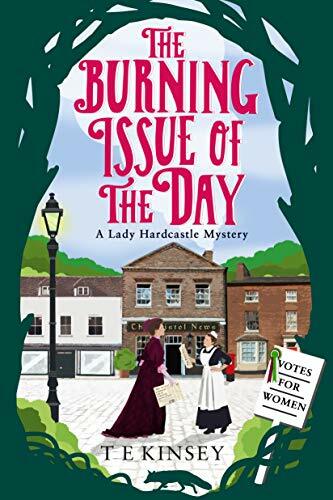 She profiles key figures, including Mary Wollstonecraft, the mother of feminism, and suffragette leader Emmeline Pankhurst, and also discusses equal rights matters with Stella Creasy, a current Member of Parliament (MP), and the son of Nancy Astor, the first female MP. The Story of Women & Power begins streaming at Acorn TV on Monday, 19 October 2015. 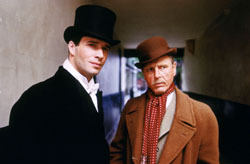 Adapted from Anthony Powell’s same-titled epic literary masterpiece (twelve novels in four volumes), this four-part miniseries follows the lives of members of Britain’s upper classes and bohemia from the 1920s through ’60s, as observed by narrator Nicholas Jenkins (James Purefoy, Rome). It features a who’s who of British acting talent, including Simon Russell Beale (Penny Dreadful), who won three Best Actor awards (including a BAFTA) for his portrayal of Widmerpool, James Fleet (Agatha Christie’s Partners in Crime), Paul Rhys (Borgia), Claire Skinner (Outnumbered), Adrian Scarborough (Blunt Talk), Oliver Ford Davies (Kavanagh QC), Edward Fox (Gandhi), Nigel Lindsay (The Fear), Miranda Richardson (And Then There Were None), and Zoë Wanamaker (Mr Selfridge). Aldo featured are Eileen Atkins (Doc Martin), James D’Arcy (Broadchurch), John Gielgud (Brideshead Revisited), Julian Wadham (The English Patient), Nicola Walker (Unforgotten), Colin Baker (Doctor Who), Harriet Walter (Law & Order: UK), Robert Pugh (Game of Thrones), Kate Isitt (Coupling), and Mark Dexter (The Bletchley Circle). A Dance to the Music of Time begins streaming at Acorn TV on Monday, 26 October 2015. The one new Brit TV title on Amazon Instant Video as of today is the second series of the hit BBC comedy Uncle. Opening a year after the Series 1 finale, failed musician Andy has a job and writer’s block, while his nephew Errol must meet him in secret to spend time with him, since there’s now a restraining order in place. 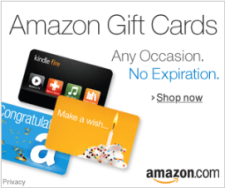 If you missed Series 1 of this funny, touching show, Amazon has it, too. 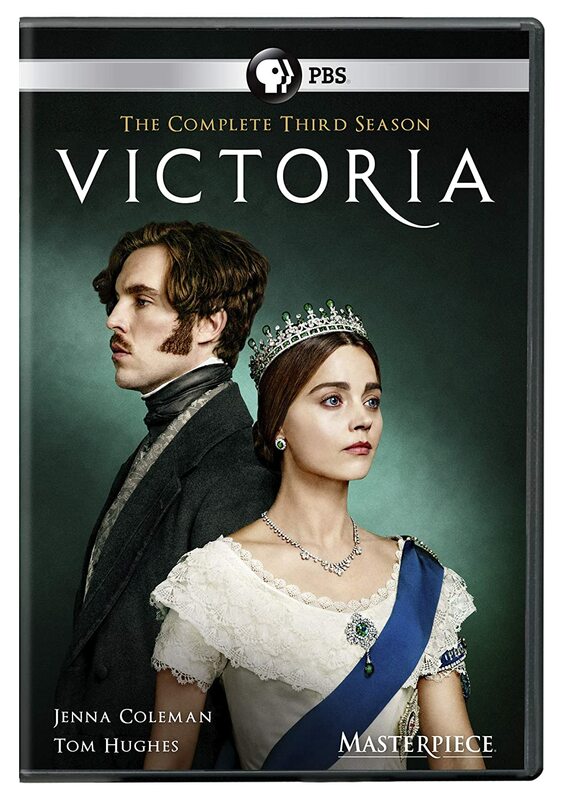 For folks who don’t have a subscription to Acorn TV (and why not? 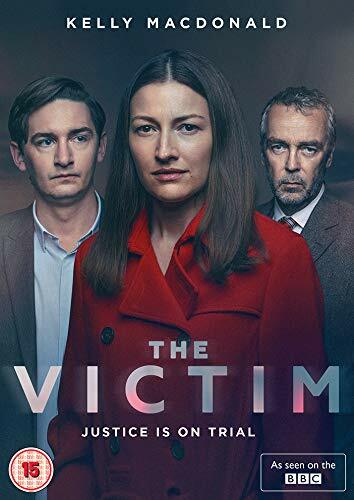 ), Amazon recently picked up several titles from the SVoD service, including Series 5 of the hit crime drama/mystery Vera and the Aussie miniseries The Slap. Before I get to the October titles, note that Netflix premiered Miss Fisher’s Murder Mysteries: Series 3 in mid-September, as well as added Agatha Christie’s Poirot: Series 12, Call the Midwife: Series 4, and Murdoch Mysteries: Seasons 4-7 at the end of last month. Film-wise, September saw the streaming giant add the restored version of Lawrence of Arabia (a must-watch starring the late, great Peter O’Toole), Philomena (another must-see movie, starring Judi Dench and Steve Coogan), and Soul Boys of the Western World (a rockumentary about one of my fave bands, Spandau Ballet). 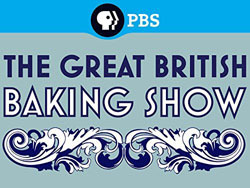 With a bit of a redo of the original title, The Great British Bake Off, PBS scored a hit with the first season of The Great British Baking Show, a competition program that pits contestants against each other in various baking categories for the coveted title of the UK’s Best Amateur Baker. The second season recently premiered in the US. Also from PBS, Netflix started streaming today these documentaries: Inside the Court of Henry VIII, Secrets of Her Majesty’s Secret Service, Secrets of Underground London, and Tales from the Royal Bedchamber, a romp of a doc hosted by Lucy Worsley, an English historian, curator, and television presenter, and author of A Very British Murder. Films on Netflix in October (so far) include the cult film A Clockwork Orange (yet another must-see, starring Malcom McDowell). Check back soon for updates. 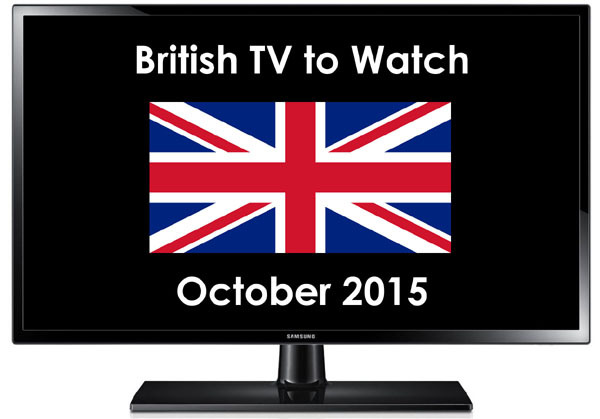 See the British TV Viewing Guide for updates.